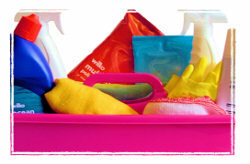 how ♥cleaning works - your domestic cleaning requirements! 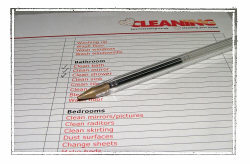 I t is essential that we properly manage your expectations to ensure you are really happy with our service. Firstly we would like to meet up with you and discuss your requirements, all of these will be recorded and we will then present them back to you in our client pack prior to commencement. Specific request such as washing up etc. The sort of time you want to budget for. We use your cleaning products, but dont worry if you run out, we always carry an emergency pack that we are happy to use (at no cost to you). Our aim is that you will trust us and know that heartcleaning is not out for a fast buck but to build strong relationships. Should you want your lawn cut before you come home, you can text us and ask knowing that your not going to get 'stung'! Our aim is to be your personal girl friday! Every month we will invoice you for work undertaken, payment is expected within 14 days of invoice date. It is our plan to offer you varying rates to coincide with demand for our services and your budget. However, at the moment we have a very special launch hourly rate of £14.00. This rate is also guaranteed for the next 12 months! In addition we are also happy to work for job cost, depending on your requirements just contact us. Obviously we take as much care as is possible in your home, but sometimes accidents do happen. We are fully insured against possible damage caused by our work - an investment we have made to provide you with added peace of mind.